Outfitting your boat with our universal wakeboard towers for sale should be an easy decision. With multiple added levels of customization for your boating experience, as well as added wake surfing benefits, installing a tower could be the best wakeboard-related decision you’ll ever make. Big Air Torrent Tower - Racks included! Assault Wakeboard Tower - Free Racks! Not only does a universal wakeboard tower make it possible for you to attach such goodies as gear racks to save space, Bimini tops to add shade, and a tower mirror for better safety, it also makes wake surfing a better experience by raising the pivot point and allowing for more air when riding the wake. With a brand new wakeboard tower and accessories, the boat you already have might very well feel like a brand new toy. In addition to the benefits already listed, you could easily attach lights, speakers, a speaker-lights combo, and many other fun items that will add to your boating experience and make it a more thrilling experience for both you and your riders. Almost every universal wake tower on OnlyInBoards is easy to install and secures tightly for a firm and long-lasting grip. All mounting hardware is usually included. Additionally, if there comes a time when you would like to remove or replace your tower, most towers are as easy to remove as they are to install. OnlyInboards offers easily collapsible towers that make fitting your upgraded boat into your garage (and getting it back out again) a breeze. Wakeboard towers also can serve as pylons by aiding barefoot skiers and first-time wakeboarders with a higher pivot point, making it easier for them to get up. This is an important benefit that could easily save you a lot of money that would have been spent on a pylon, which only has one use, rather than a tower that has endlessly customizable uses. 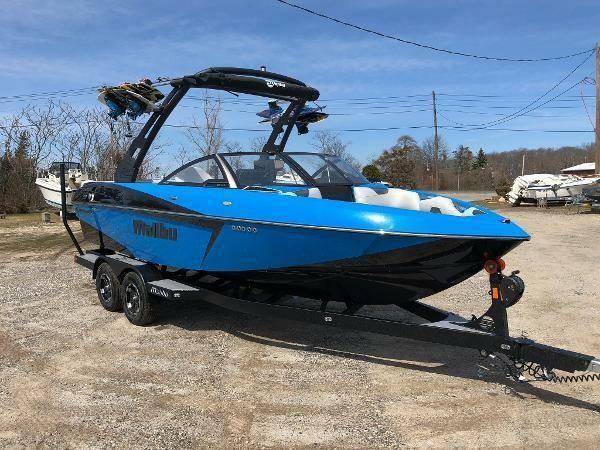 A universal wakeboard tower also could be advantageous if you are thinking of selling your boat in the future, as it adds significant value to the boat. If you need assistance with your purchase, we have experts available to help you determine the right universal wake tower for your boat size and needs.